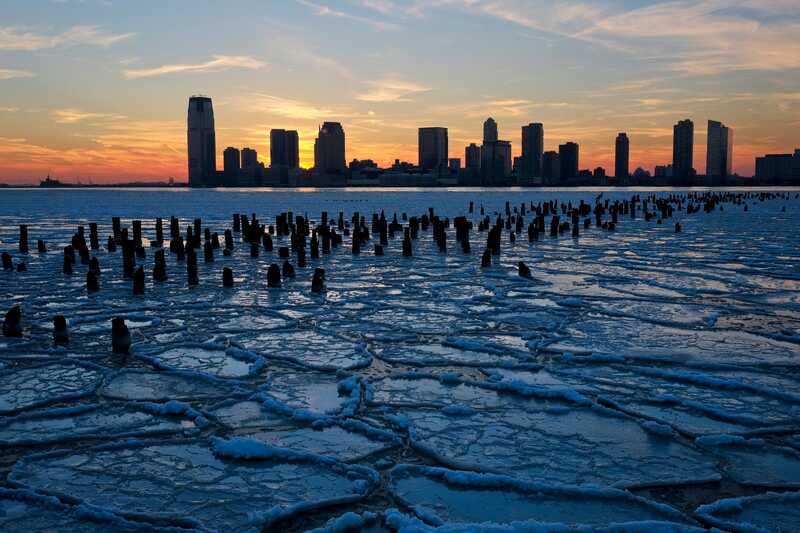 New York City, with a population fast approaching 9 million and vast cultural, historical, financial resources, is fast approaching the danger zone for climate change. Some would say it has already arrived. 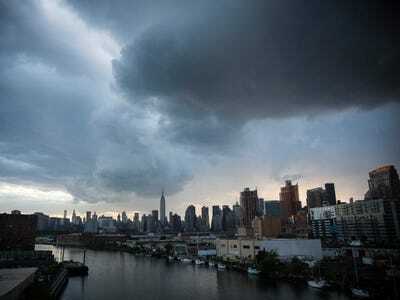 The OECD ranked New York City among the top 10 cities most vulnerable to climate change in terms of its population size, location, and risk of coastal flooding. 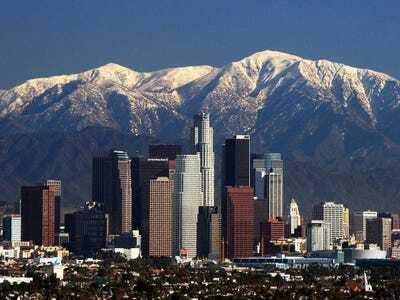 When assets are considered, the Big Apple climbs to number two on that list. 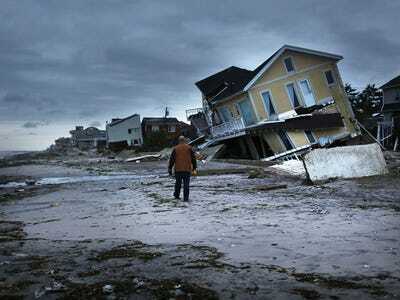 Hurricane Sandy, just one of the symptoms of a warming planet, was our first dire warning. Hurricane Sandy struck without mercy. Tempestuous winds downed trees and electric lines, smashing cars and homes. Walls of water overwhelmed barriers, wiped away homes, and crippled subway lines. 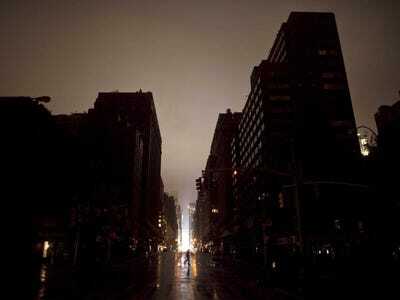 Within hours, 8.1 million New York City homes lost power. In the ensuing chaos, the city lost $25 trillion dollars in estimated business activity. As bad as Sandy was, she was only a hint of the destruction yet to come. While our grandparents likely lived through only one storm of Sandy's scale, our grandchildren can expect to see at least 20. While it's best known for lifting sea levels and raising temperatures, climate change will also make storms far more intense. As it heats up the Earth, more water vapor -- the fuel for storms -- enters the atmosphere. It's not just the air that will get warmer. 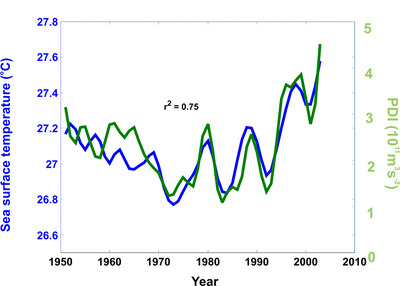 As oceans heat up, hurricanes like Sandy, which originate in the Atlantic, will become more intense. 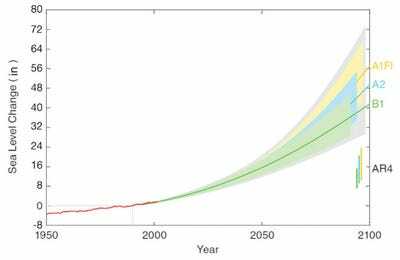 For each 1.8 degree-Fahrenheit increase in sea surface temperatures, as much as 18% more rain will fall during a hurricane, and storm winds could get about 8% stronger. The Power Dissipation Index (PDI), shown in green on the left, is a measure of hurricane activity that includes its frequency, duration, and intensity. 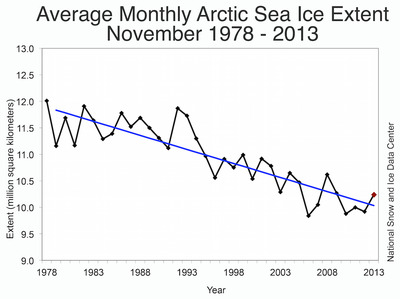 As oceans get warmer and northern sea ice begins to melt, sea levels will rise, increasing the frequency of floods. 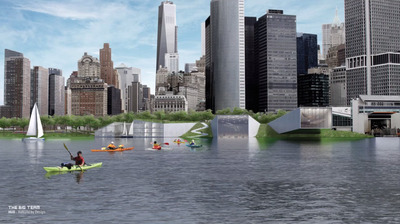 Eventually, entire sections of New York City will be permanently submerged. 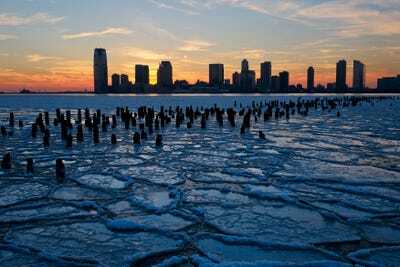 Rising seas have already increased water levels near New York City nearly 1.5 feet since the mid-1800s. 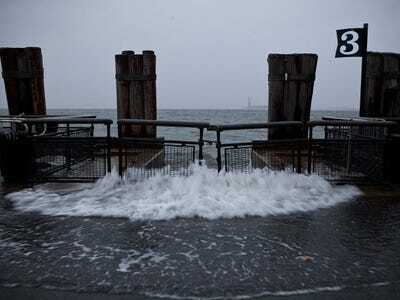 As a result, dangerous waves are now 20 times more likely to overwhelm the Manhattan seawall than they were 170 years ago. Manhattan isn't the only part of the city at risk. 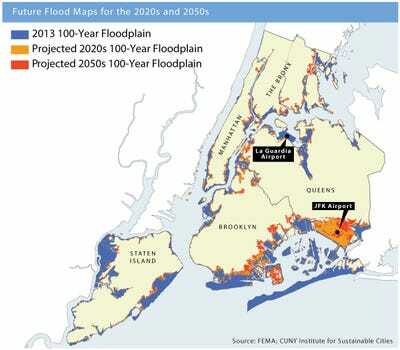 Sizeable chunks of Brooklyn and Queens, with their combined 250 miles of waterfront, are at serious risk of flooding. 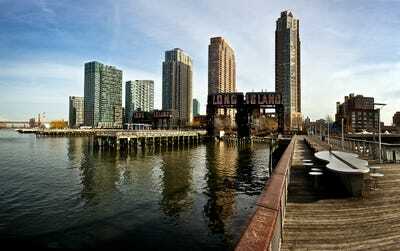 Many of these high-risk areas are also home to some of the city's fastest-growing neighborhoods, like Long Island City, Queens, and Boerum Hill, Brooklyn. These areas are also where many of the city's important transit hubs are located. Parts of John F. Kennedy airport, in Brooklyn, and LaGuardia Airport, in Queens, sit just 2 to 6 feet above sea level. Storms frequently produce flood waters higher than that -- Hurricane Sandy's surge waves were 14 feet tall. Beaches in those areas, on the other hand, will quite literally be washed away. 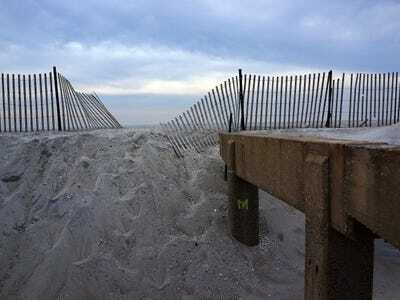 'Long-term coastal erosion is 100% probable' for Coney Island, Brooklyn, the Rockaways, Queens, and South Shore, Staten Island. And even when we're not bracing for a flood, New Yorkers will be struggling to avoid extreme temperatures. 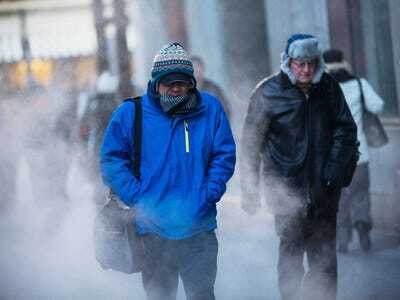 In winter, more polar vortices will hit the city as gusts of heat energy from melting arctic sea ice tear down the powerful wall of cold air that normally contains the frigid Arctic currents. In summer, warmer temperatures will make being outside miserable. By the time our children retire, the June-August period in New York City, which currently averages a balmy 82 degrees, will feel like summers in the south of Florida, where the season averages a steep 92 degrees. A woman in Las Vegas wipes her face with a cold wet towel to cool off while working outside holding an advertising sign. The heat kills at least 2,000 Americans each year. Deaths are most common in the largest cities and the most rural areas, according to a new CDC report released July 30, 2014. About 31% were caused by heat, heat stroke or sun stroke. 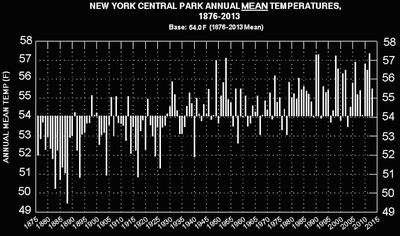 The warming trend has been occurring since the 19th century. And while we might not like it, some species do. That includes insects, who reproduce when it's warm out but stay dormant when it's chilly. 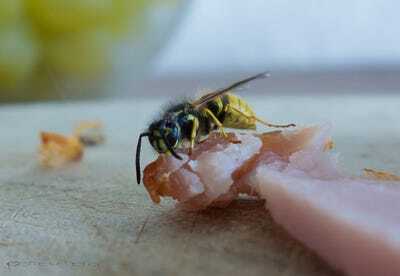 As average temperatures go up, critters like wasps and mosquitoes will stick around for longer. The Asian Tiger mosquito, an invasive species that can carry diseases, is one such critter. Land area with the mosquito's preferred environmental conditions is expected to increase from the current 5% to 16% in the next two decades and somewhere between 43% and 49% by the end of the century. 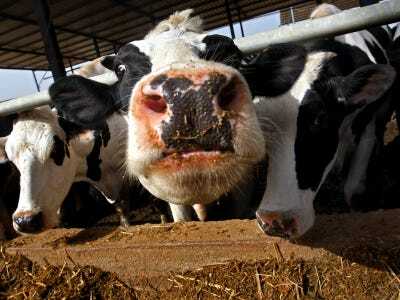 Climate change will affect New Yorkers' diets, too, as changing temperatures put pressure on Northeastern dairy farms. 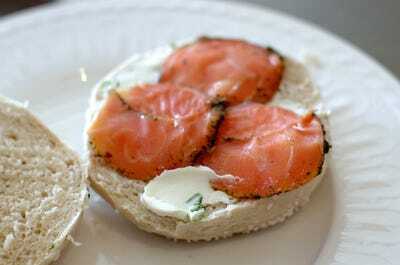 Speaking of dairy, do you like lox with your schmear? In the next few decades, warmer waters will drive away local populations of the salmon used for the popular bagel topping. Native brook trout will disappear from New York waters, too. Bass might come to the area in their place, as the species loves warmer water. Local varieties of apples will vanish, too. 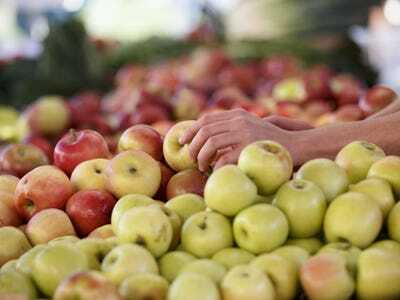 Macintosh and Empire apples will disappear from farmer's market shelves by 2100. While the snacks you bring along on weekend hikes will soon vanish, so too will the hikes themselves. 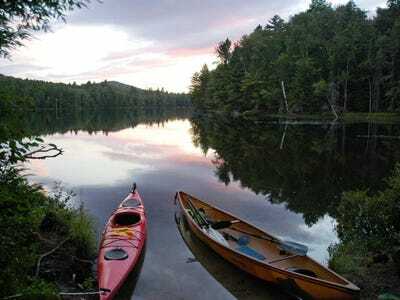 Love taking in the fresh air of the Adirondacks or the Catskills? Better enjoy them now. None of the plants or animals native to these spruce-fir forests will survive in a climate just five degrees warmer. Both forests will begin to die out as soon as 2050. 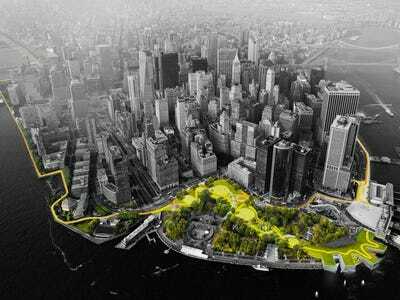 The plan, from the Danish Bjarke Ingels Group, would surround all of lower Manhattan with 10 miles of artificial embankments, gardens and sloping green hills. The Big U has already received nearly $350 million in federal funding; construction is set to begin along Manhattan's Lower East Side in the next few years. 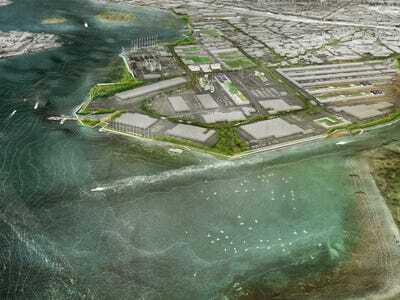 Other winning designs include this plan for the Hunts Point section of the Bronx, where flood barriers and a system of shipping food to the city via water would help make the city more resilient to rising sea levels. 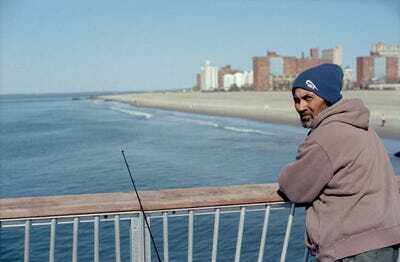 Hunts Point Lifelines, as the project is called, is part of President Obama's post-Sandy rebuilding task force. These protection plans show that once New Yorkers start taking a problem seriously, they can come up with some pretty creative solutions to help stop it. Let's hope we are doing enough. 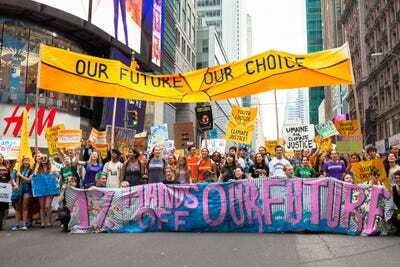 You've seen how climate change will destroy the best things about New York City.